Seems simple, but things never are. We were really winging it this year! We all had vague and sort of “conceptual” (ye, ahhh…that’s what we’ll call it) ideas for our competition pieces, but no real solid plans. 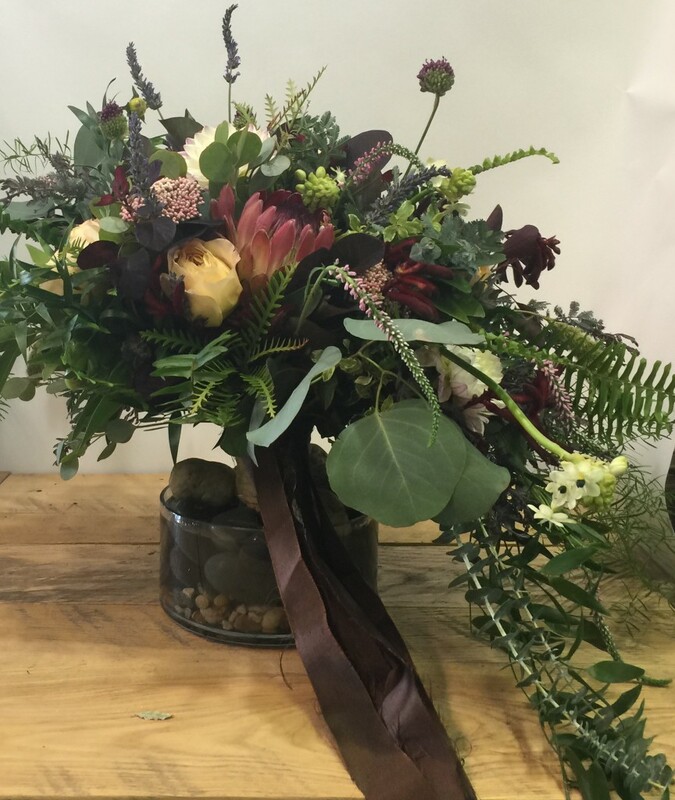 We requested a handful of “fun and unique bunches” from our favorite wholesalers Nordlie, Doran Engle, and Dreisbach, as well as a whole boat-load of Holland Premium blooms. (We couldn’t have made a plan if we had wanted to because we didn’t know what we would be working with until it was time to put it all together.) Game Time Decision! Each of us took on the challenge of interpereting the “New Now”, all the while keeping up with bridal consultations and the day-to-day designing at the store. 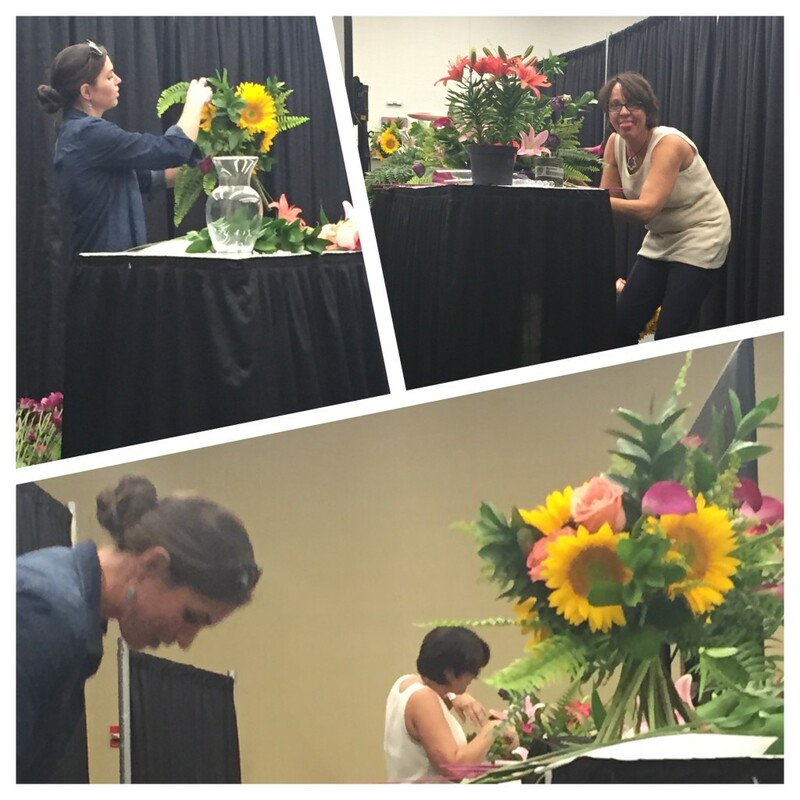 We were honored to create arrangements for the ATI Floral Endowment Dinner that hosted students and donors to the Ohio State ATI Floral Design program. Preparing for the competition amongst all this was a whirlwind to say the least. On Sunday morning we loaded up, fueled up the van and ourselves (thanks Dee for the breakfast foods) and showed up!. We were a bit rushed, but got the job done! This was only my second year attending and competing at Cultivate, and this year I arrived with two veterans who were both very well-known, very well-educated (and just pretty darn popular!) at the conference. (I was never the kid who sat at the proverbial “cool lunch table” so this experience was new for me!) Who knew that little ‘ole Me would find myself seeing the conference through the eyes of a very talented Designer and a very accomplished design and horticultural Scholar. 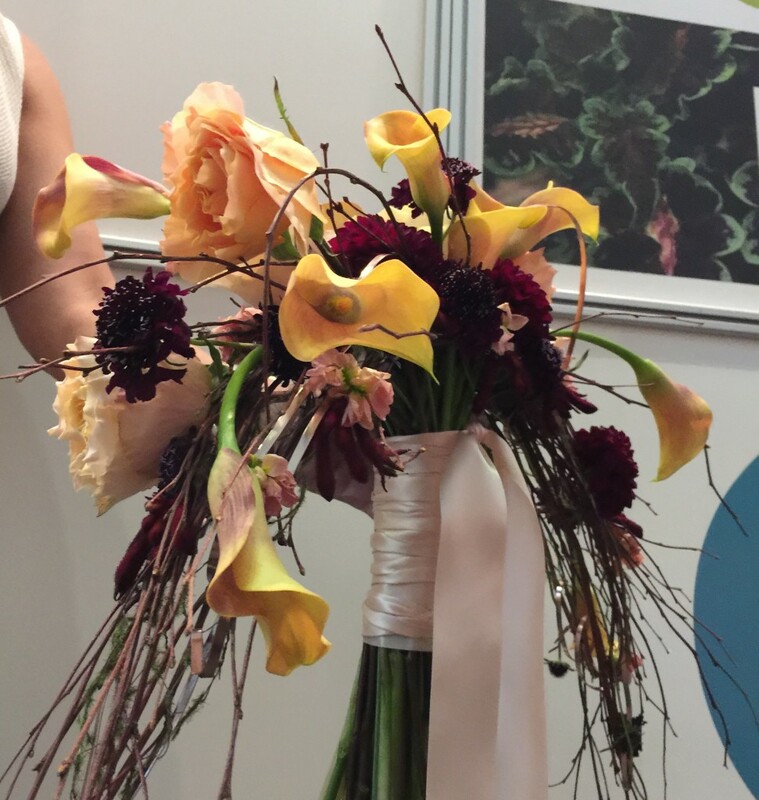 This experience brought to light three very important take aways that I think we really need to have a conversation about in the floral industry – Design, Education, and Evolution. Throughout the day we heard about different styles of floral design from the tailored and traditional, to the new organic free-flowing garden style. All of the differences and debates between the styles will continue to go on, but one thing that our speaker, Jill Rizzo from Studio Choo, mentioned really stood out to me – she thought about her arrangements like paintings. (How crazy is that? Not at all if you ask me!) The principles of design that dictate what is “good” and what is “bad” have very little to do with individual aesthetics, but instead focus on the objective measurement of a composition’s display of an understanding of hierarchy, unity, color theory, and craftsmanship with the medium. This focus on objectivity is going to be vital to survive in today’s ever-evolving floral industry. Therefore we should be spending our time educating ourselves on and producing excellent design and craftmanship in all styles, rather than wasting time quibbling about how much “real floristry” is exhibited by messy boho bouquets or how tired we are of tailored traditional round mound bouquets…and so forth ….so here we are. My experience of the competition and the whole conference was book-ended nicely by my friend “the Scholar Who Shall Remain Nameless,” who (in addition to being a complete riot to hang out with), knew everyone, and really understood a lot of the technology that was being exhibited their. “The Scholar” actually holds two degrees, one in floral design (from Ohio State ATI) and the other in Greenhouse Management(Also Ohio State ATI), so I really went to school that day! Her understanding of the flowers that we work with everyday, the limitations that growers face in producing them, and the ways that we, as florists, can source our products responsibly and sustainably, was amazing! The old saying “knowledge is power” really may need a comeback rally here, and in order to be the designers we want to be, we must continually further and share our knowledge in order to educate and inspire the next generation of “design monsters” to unleash upon the world. There are so many opportunities to influence the path of someone’s career through workshops, mentoring, and donation to amazing programs (like the Ohio State ATI Floral and Landscape Design programs, and the Floral Endowment Program). The harsh reality is that our industry is aging a little, and if we don’t reach the next generation and inspire them to be savvy, well-trained, business and marketing-minded, multi-talented DESIGNERS, we won’t succeed!!!! 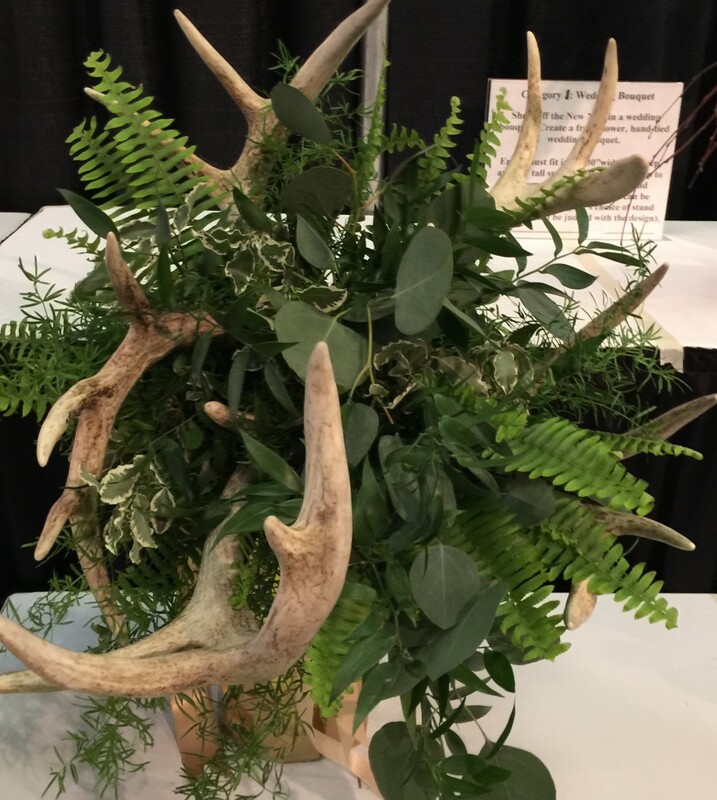 This may seem like a tall order, but through the AIFD, NAFA, AmericanHort, and many other state and national organizations there are opportunities to engage the future faces of floral design and we NEED to be utilizing them. Targeting our outreach style and platform to connect with the next generation will also be crucial. “The Scholar” was the recipient (based on excellence in academics and extra curricular involvement) of a Floral Endowment that allowed her to attend the Cultivate conferences in past years as a student who may not have had the budget for that learning opportunity otherwise. The moral of the story is that we need to not only Utilizing these educational opportunities and outlets, but Prioritizing them! Please see the links at the bottom of this article to learn more about ways that you can have a positive influence on someone’s professional journey. You can contribute to the Educational branches of any of these, or other state and national organizations for the expansion of floriculture and design. So that just leaves Me. I come to floral industry from a background in art, interior design, and graphic design, so a Jacqueline of all trades I truly am. I attended CCAD, so my classical art and design education gives me a sort of unique perspective on things, and I value those principles of style and craftsmanship that have been instilled in me. I believe that if we are well-trained designers, it should not matter what medium we are given to work with, we are still designers, and the same principles of design apply. If this is true, then no matter what situation we find ourselves in, we can always excel. The resourceful and collaborative use of all available skills and materials is really what art and design is all about to me, and I am constantly drawn back to my roots in fine art and my foundations in the principles of design. These principles shouldn’t just apply to painting canvases, designing buildings, or making logos, but also to the work I do every day as a Floral Designer. As the day unfolded, we attended a couple of other workshops and information sessions, toured the trade show and grower market areas, and finally returned to our home base for the results of the design competition. Turns out, the “The Designer” and I had both found ourselves, based on points accumulated by our entries in the 3 categories, in the top 5 designers that would be brought up on stage for the 35 minute timed “Design Off.” The winner from this top 5 would go on to represent the State of Ohio at the National Alliance of Floral Association’s design competition. For “The Designer” this was no big deal; as I said, she is a pro and right in her element. I however, do not adapt so well to being in front of a crowd. Time to call on that resourceful artists nature- especially because the bucket of materials provided for the competition did not contain any foliage. (I love a good foliage heavy bouquet so “not good…not good at all) I immediately noticed the four Boston Ferns potted on the corners of the stage for decoration….they were sporting some awfully lovely foliage that I decided to cut and integrate into my design! Tick Tock Tick Tock… Our 35 minutes seemed to slow down for me as I realized that calling on my palette of skills, consciousness of the design principles that I had been taught, and staying true to my style was all that I needed to do. 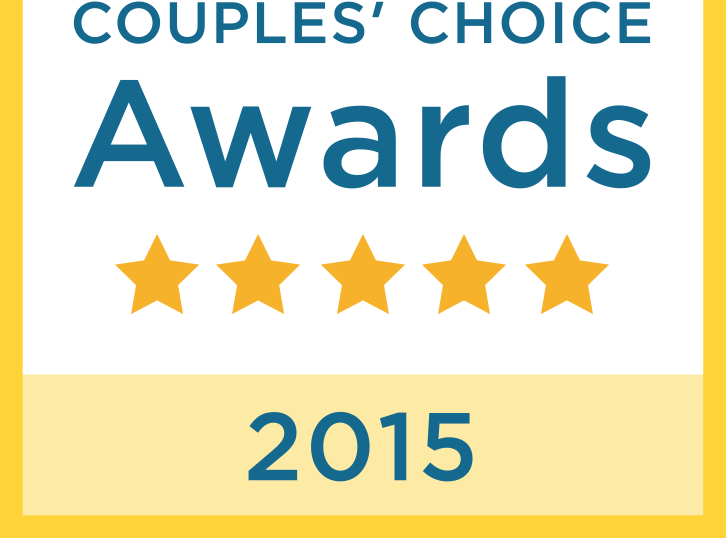 Turns out, I won Designer of the Year! What I ultimately took away from my experience at the Cultivate 16 conference, and what I will take with me to the NAFA National Competition is that we, The Florists, need to be constantly evolving as well-rounded creatives, reaching for excellence in design, rather than comfortably accepting the standards that are just handed to us. Challenging ourselves to refine our tried-and-true skills, while continuously exposing ourselves to new things is crucial, though at times uncomfortable…lemmme say it again-CRUCIAL! Having plans and processes, knowing our mechanics, and knowing ourselves as designers are all tools in the arsenal, but the most important one is the ability to see a design problem as simple s an empty vase and being able to respond immediately (on the fly and using only what you have in a 6’ radius like Boston Ferns…just kidding) with solutions to fill it that make the experience of everyone around your GOOD design just a little bit better … Adapt and over come my fellow florists! Good Design, Education, and constant Evolution are the keys…check out the links below to get started.